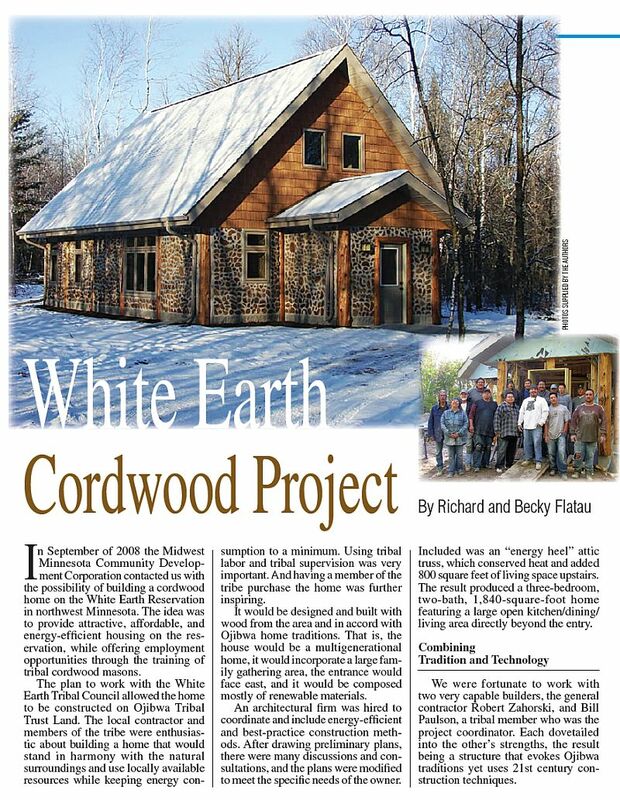 This is the cedar cordwood home we were honored to be involved with at the White Earth Reservation in Naytahwaush, Minnesota. Below if the first page of the article about this project in the January/February 2013 issue of Backhome Magazine. It is reprinted herein, with permission. The project director was Bill Paulson of White Earth and he was responsible for getting the Anishinaabe (Ojibwe) masons together, cutting, staining, prepping and transporting the cedar. Helping to train the masons in the proper techniques, he was also the creator of the Anishinaabe (Ojibwe) motifs in the wall. Here are photos of some of his beautiful work. 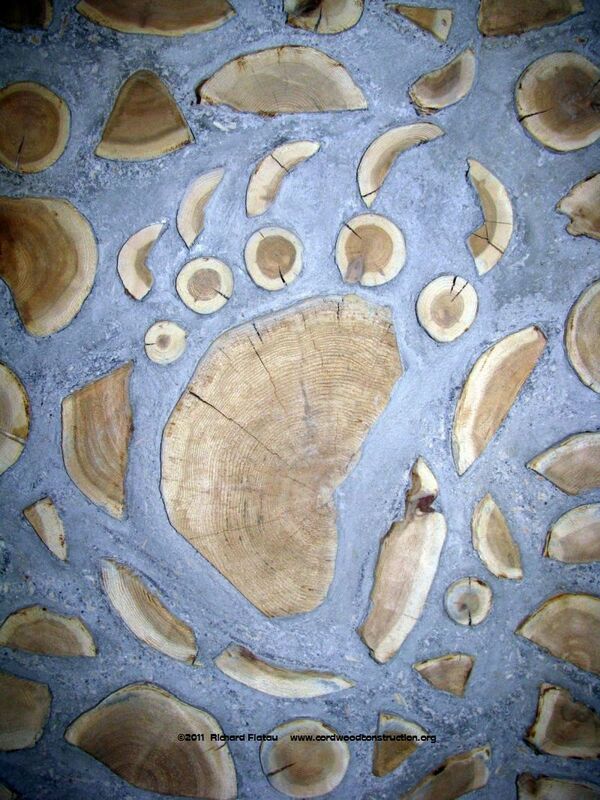 The cedar bear paw is Bill’s design and creation. 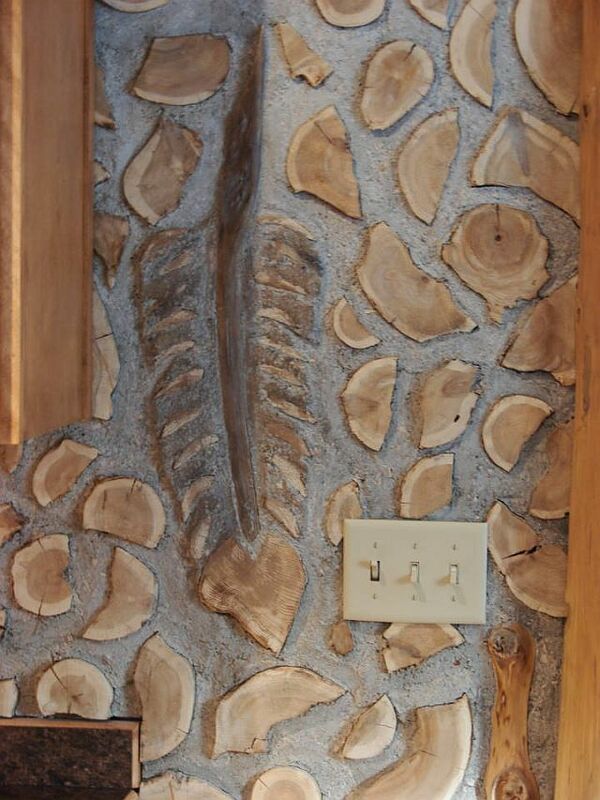 He laid it out on the floor and then mortared it into the wall. 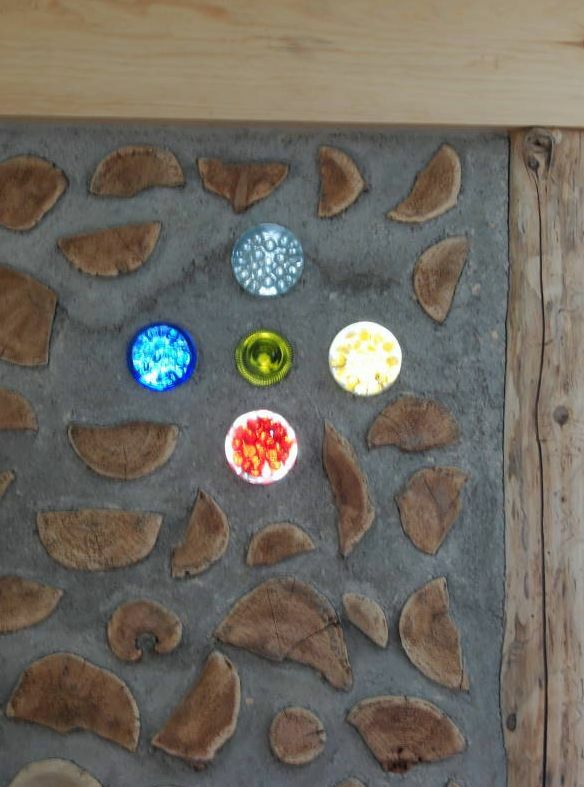 The Ojibwe medicine wheel is also Bill’s creation and honors the four directions: north, south, east and west. Bill subtly tucked a feather into the entrance wall. 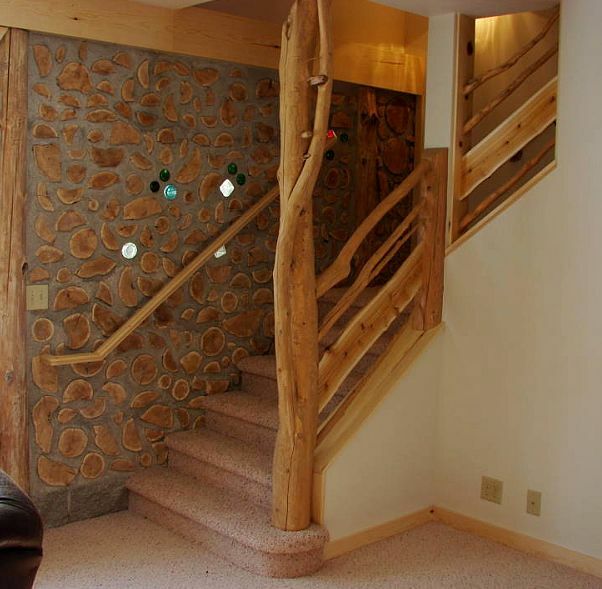 The stairway wall gives people the impression of a stained glass effect. 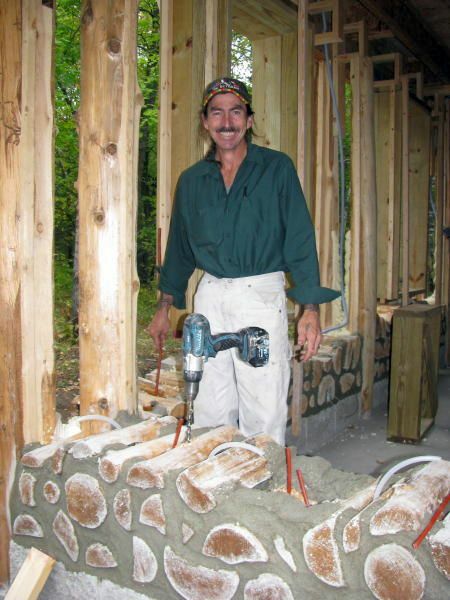 Here is Bill making sure that all the insulation gets into every nook and cranny.